While Google Glass has captured most of the recent press about head-worn computing technology, there are nearly two dozen similar digital display devices in development or already available for purchase. The heads-up display market is quietly and rapidly becoming a diverse, growing sector of the wearables space, with dozens of players ranging from upstart entrepreneurs to well-established tech firms. Some of these companies—like Recon, Epson, and Sony—have had consumer-ready visual display products on the market for years and are releasing second- and third-generation devices. Here is an overview of three categories of glasses, visors, goggles, and lenses that tech manufactures are betting on, plus some other devices intended for psychological and marketing research or augmenting the sight of the visually impaired. Stuck on a plane next to an irrepressible chatterbox or crying infant? Tune out distractions and enjoy a private in-flight movie on one of these entertainment displays. Designed for those wishing to enjoy an immersive movie-watching experience, these visors can block the outside world but offer an up-close-and-personal view of your favorite films. Boasting 1080p HD video and 24-bit stereo audio, the ST1080 can be used to watch Blu-Rays, work on your laptop, or play games. It offers a light-blocking visor cover but can also be viewed with 10% transparency so you can "see the drink cart in the airplane aisle." Sony's wearable HDTV device, the third-generation HMZ-T3W, simulates a 750-inch screen at 65 feet away. Also intended for gaming or movie watching, this head-mounted OLED display offers a 2D or 3D experience with virtual 7.1 surround sound. With the included "versatile mobile battery," you can enjoy "the cordless convenience of WirelessHD" from your living room or that cramped window seat. True, these conspicuous visors might make you might look like a Daft Punk cosplay enthusiast, but at least you won't have to passively endure engine noise or the snoring from the guy in the row behind you. If you're someone who already likes to watch in-flight movies on your laptop, these devices offer a more immersive experience. Besides, you don't care about the judgmental stares of complete strangers you'll never see again in your life, right? Of course, with one of these helmets on, you won't know you're being glared at, anyway. While virtual reality has been little more than a sci-fi fantasy and staple of '80s/'90s B-movie plotlines, several prototype head-worn VR units aim to finally bring the technology to our living rooms. Thanks to the gaming industry, two promising contenders have garnered early acclaim and raised the first serious possibility of mainstream, commercially-viable virtual reality headsets. The popular, Kickstarter-funded Oculus Rift is not yet commercially available but has already amassed an impressive haul of awards and a rabid fanbase. Created specifically for gaming, the Rift's low-persistence OLED design boasts "an incredibly wide field of view, high-resolution display, and ultra-low latency head tracking" to provide an immersive VR experience. Just a few months ago, Sony announced its own prototype VR display, a device under development for the past three years. Project Morpheus is intended to work with the PS4 and features 1080p resolution, accelerometer/gyroscope sensors for head-tracking data, and 3D stereoscopic sound. Like the Occulus Rift, Project Morpheus is still not consumer ready but appears to be headed for prime time. What sets these units apart from mere video display headsets is what a Sony spokesman referred to as "presence"—the sensation of being in an artificial world that is created by the display quickly and accurately changing to reflect the wearer's movements. To avoid inducing motion sickness in users, VR engineers have been working to reduce latency (lag time between a user movement and change in display), provide crisp images, and increase display refresh rates. 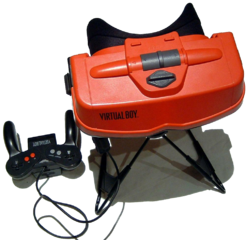 Sony and Oculus representatives seem confident that the technology has progressed to a point such that they can avoid the PR disaster Nintendo faced after the release of its ill-fated, barf-inducing Virtual Boy in the mid-'90s. A third category of wearable headset is a range of lightweight devices intended for daily use rather than entertainment, putting images and text in the user's field of vision—sometimes in the periphery, sometimes overlaying the user's view—to keep people informed without requiring them to reach for their phone. Best suited for brief interactions and updates—sending and receiving texts, taking pictures, checking sports scores or weather forecasts, and the like—these devices typically have limited voice, button, or touchpad input and frequently draw data from a smartphone via a Bluetooth connection. While some of these products merely provide an easily-accessible, hands-free screen, others offer the possibility of true augmented reality (AR) applications that enhance the user's natural view of the world by providing informational overlays. Several AR apps are already available for other devices—Yelp Monocle, Wikitude World Browser, and Sky Map are a few examples—and combine camera images with data on the screen of a phone or tablet and/or change in response to user movements. Transparent lenses on heads-up displays are one step better, overlaying information on the user's natural vision rather than re-displaying camera images on a pixelated screen. Unlike head-mounted displays designed to immerse users in a virtual or cinematic universe, these smartglasses do not need to fill the user's field of vision and often work better if their screens are situated to the side of the wearer's normal line of sight. Consequently, many development teams have engineered devices with a single screen for one eye. These asymmetrical designs are an affront to the fashion-forward but make for lighter and less bulky headgear. Compared to the four devices described above, Glass is positively svelte. Featuring a transparent display prism over the right eye and a touchpad along the right temple, this product of the secretive Google [x] lab is intended to provide updates and information when needed and be in the periphery otherwise. Glass's small screen is unobtrusive but ill-suited for true AR applications. Its distinguishing features include a bone conduction speaker and voice activation. The fee to join the Glass Explorer program is $1,500, although the cost of the device itself, should it be offered as a consumer product, is expected to be only $300 to $600. 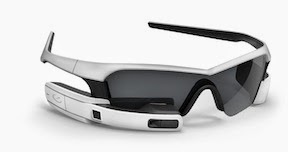 French company Laster Technologies has been working on an augmented reality headset dubbed the SeeThru. Packed with gyroscope and accelerometer sensors, bluetooth capability, and built-in audio, the SeeThru is notable for its garish transparent screen. 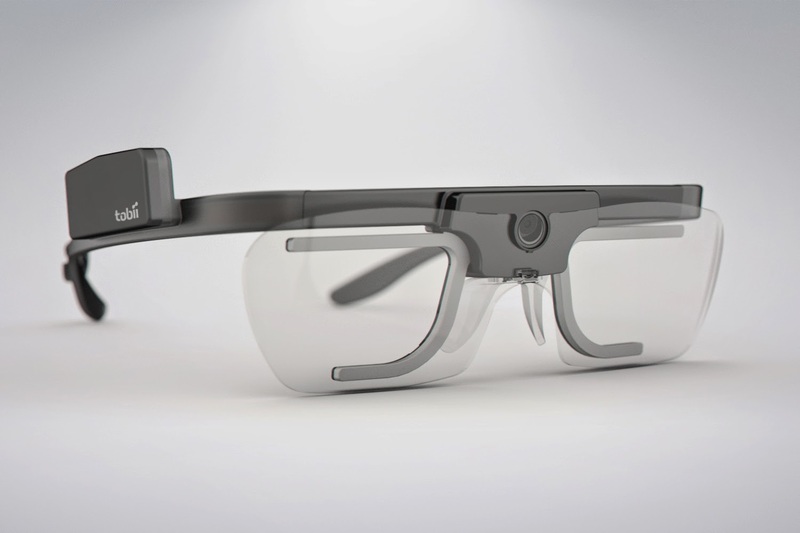 With two to three times the display size as Google Glass, the See-Thru provides a truer AR experience. Perhaps in part because of its more conspicuous appearance (it looks like a rejected Tron prop), the SeeThru failed to attain funding goal on either the Kickstarter or Kicktraq crowdfunding sites and faces an uncertain future. Having manufactured head-up display units for skiers and winter sports enthusiasts for over four years, Recon is no stranger to the heads-up display field and has been touting its Jet heads-up display for more than a year. 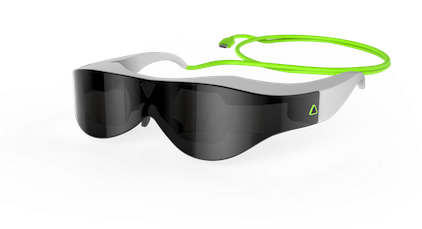 Designed like a sporty pair of sunglasses, Jet is loaded with sensors and wifi/GPS capabilities and features a display in the lower right corner or the wearer's field of vision. After some setbacks, the first units of the Jet Pilot program (see what they did there?) are now slated to be shipped in the fall of 2014. Intended for industrial use in logistics, manufacturing, warehouse applications, the Brother AIRScouter is touted as a tool for remote, hands-free training and workplace efficiency. Illustrations accompanying online documentation for the device suggest that it could provide training manuals, technical specifications, and other corporate data to employees in the field or away from a computer. It is equipped with an SVGA 800x600 display, USB interface, and diopter adjustment. Input and power are provided through a cabled control box/external battery. It is not being marketed as a consumer product, which is a wise move for the device among the nearly two dozen listed here that creates the most pronounced "evil cyborg" appearance. 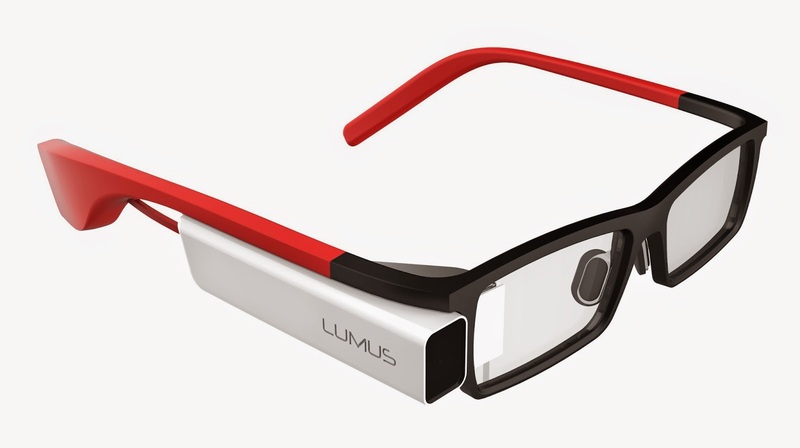 With the goal of making "natural-looking, discreet eyewear," Lumus focuses on selling what it call LOE (Light-guide Optical Element) technology "under OEM agreements to leading consumer electronics manufacturers." The DK (developer kit) models have a 5 megapixel camera, 9-axis motion sensors, and an OMAP processor running Android. While the DK-40 (pictured) is a monocular device, the DK-32 offers dual "Optical Engine modules" and permits the display of 3D 720p resolution images. French-based Optinvent is accepting preorders for its ORA-1 developer platform, an android-based display that can alternate between augmented reality and "glance" modes thanks to a pivoted design the company dubs the "Flip-Vu" feature. The ORA includes "camera, microphone, sound, inertial sensors, wifi, bluetooth, GPS, ambient light sensor, photochromatic lenses, and a high-capacity rechargeable battery." The developer version is currently going for $949 and is planned to be shipping in August. Unlike the Glass HUD, the Vuzix M100 can be positioned over either eye, although it offers a comparable Micro-USB port and 5-megapixel camera. Perhaps to insulate itself from the kind of media backlash faced by Google other smartglasses manufacturers, Vuzix follows in Brother's footsteps by billing the M100 as "primarily for use in enterprise, commercial, and medical applications" rather than branding it as a consumer device. 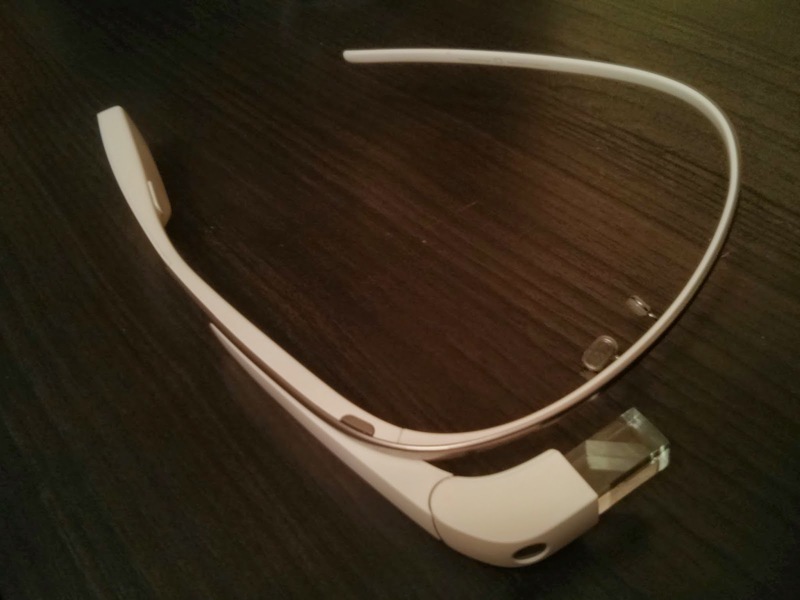 The drawbacks of dual-screen smartglasses include increased weight, cost, and battery drain. However, users wearing these more balanced and aesthetically-pleasing models are less likely to elicit comparisons to the Borg and enjoy displays with and increased field of vision. Binocular designs also have the potential to offer 3D stereoscopic vision and holographic images—perfect for your next conversation with Lord Vader. The Vuzix Star 1200 is the more developed—yet more awkward-looking—successor to the M100. With a cyclopsian center-mounted 1080p HD camera, this "optical see-through AR system" has an HDMI interface, noise-isolating earphones, and a head tracker attachment. A hand-held controller/battery pack the size of a deck of cards is hardwired to the device via one cable, while a separate USB cord connects to a computer or other output device. At close to $5,000, don't expect to see too many of these in the wild. Like Brother, Epson is another printing solutions company making a foray into the wearable tech market with a head-worn visual display unit. 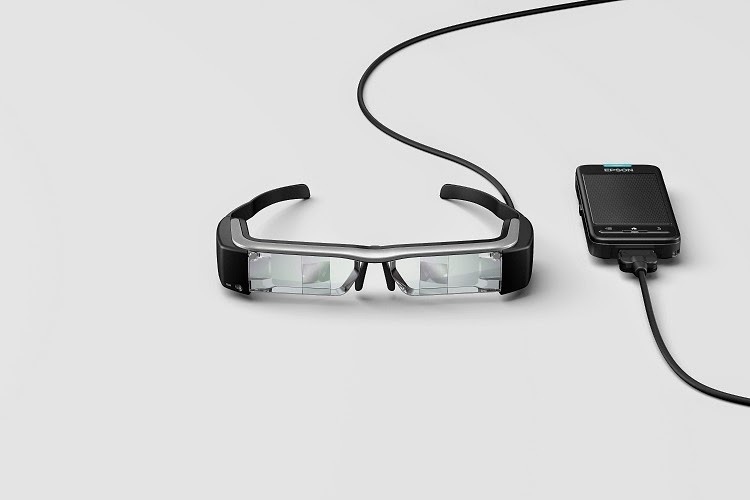 Its $699 Moverio BT-200 is a second-generation smartglasses unit featuring "a miniaturized LCD-based projection lens system and optical light guide." As with the Vuzis Star 1200, one significant drawback of this unit is the thick cable tethering it to a flat touchpad input device. Not all of these binocular displays need a cord to offer powerful functionality. The Italy-based GlassUp team is offering four versions of its wireless bluetooth head-up display for preorder, ranging in price from $299 to $499 depending on whether you're interested in the basic version, the camera version, or prescription-ready models of each. While early prototypes of the device looked more like protective racquetball goggles, later models have sleek, modern styling. Like its monocular Google counterpart, GlassUp features touchpad input and a micro-USB port to charge an internal battery. Also coming closer to the look of an average pair of glasses is the prescription-ready Icis, the product of Pasadena-based Laforge Optical. Offering five frame styles, the Icis looks to be one of the best-positioned competitors to Glass. Like the Google device, Icis is still a beta test product and has a touchpad, camera, speaker, and microphone. 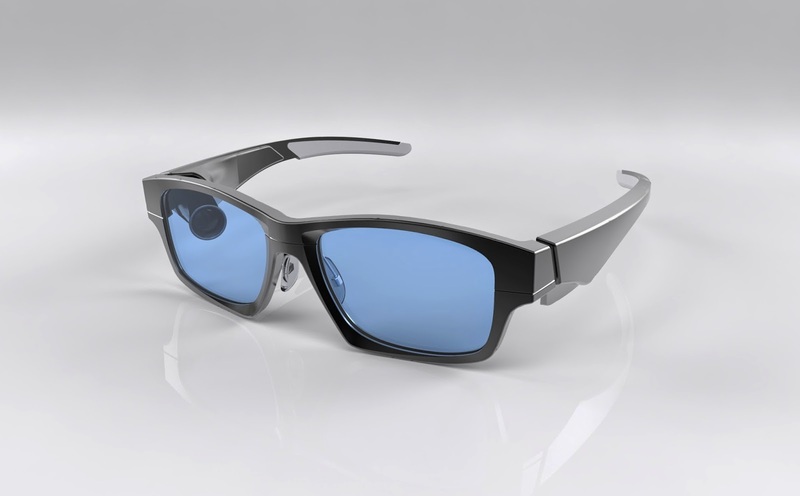 Unlike Glass, the Icis provides a customizable user interface and a display designed for both eyes. While some companies, fearing consumer backlash over privacy concerns, offer smartglasses without a camera option, Epiphany turns that model on its head by offering frames that one reviewer has dubbed "the not-as-smart glasses"—they pretty much only feature a camera, microphone, flash memory, and cloud storage. 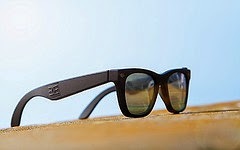 The glasses are wireless, with a micro-USB port to charge its lithium-ion battery. 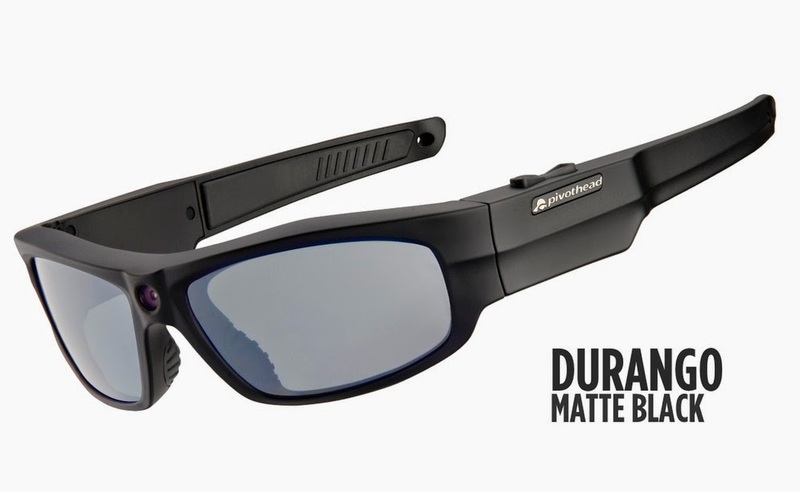 There is no display screen, although an LED indicator lets you know if the glasses are recording 720p HD video. Like Epiphany, Pivothead's five styles of Original Series frames are little more than glasses with video and image capturing abilities, the biggest difference being that Pivothead's camera is mounted over the bridge of the nose while Epiphany's camera is off-center. However, Pivothead has been working on a new SMART series device, funded by an indiegogo campaign, which will have a "Led Lightguide" HUD and many of the same features as Google Glass—plus some others, like NFC connectivity, replaceable batteries, and a 3.5mm stereo audio jack. Meta's 3D stereoscopic display with camera, 9-axis motion tracking, and gesture-based input has been likened to the technology employed by Tony Stark in the Ironman and Avengers films. The Meta Pro is not merely a head-worn display that functions as an accessory to a smarthphone; it actually comes with its own pocket computer to provide the number-crunching power necessary to emulate your phone or laptop in holographic form. These "spaceglasses" are said to have fifteen times the screen area of Google Glass and come with bluetooth, wifi, and USB connectivity—as well as a $3,650 price tag. Offering a similarly gesture-based 3D glasses unit at less than one-seventh the price, Atheer Labs offers a surprisingly robust heads-up display at a price point that is likely to make waves. The Atheer One runs on an Android platform and boasts dual 8 megapixel cameras, voice control, interchangeable lenses, and a 65-degree field of view; it includes bluetooth/HDMI/wifi/micro-USB connectivity as well as GPS and sensors for detecting head motion. Designed to assist the visually impaired, the OrCam clips on to almost any standard pair of prescription frames and provides a visual aid that reads text, verifies money denominations, and recognizes products. Activated when the user points at an object or text, the device uses a bone conduction speaker to identify items or read printed materials. Swedish company Tobii offers a head-mounted eye-tracking unit that enables researchers to study what subjects are looking at. With onboard gyroscope and accelerometer sensors, the Tobii Glasses 2 includes four eye cameras to track the user's gaze and a wide-angle 1920x1080 front-facing HD camera. By overlaying the image from the front camera with heat map-style data generated by the eye camera data, the $15,000 frames provide real-time insights to marketing and behavioral research groups. While it does not offer a hardware product, Innovega offers the most radical display technology yet: its iOptik system combines a slim glasses frame with specialized contacts to achieve an extraordinary field of view without requiring bulky headgear. 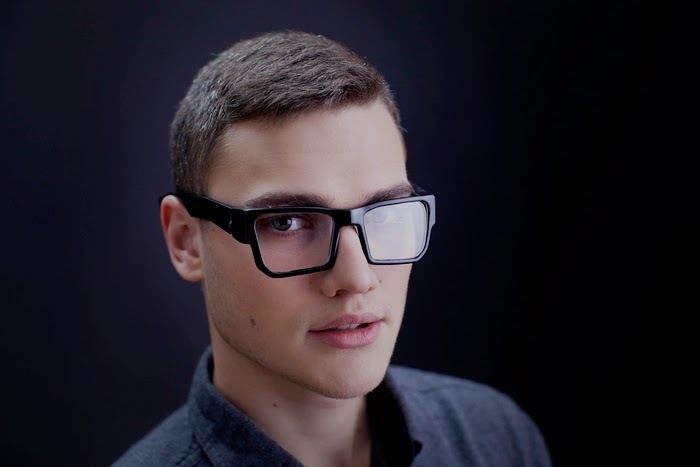 The combination of complementary contacts and glasses represents an "alternative display architecture" that circumvents near-to-eye optical problems faced by other digital screens and permits users to simultaneously perceive digital content and the world around them without having to shift focus back-and-forth. The company plans to license its proprietary technology to manufacturers and debuted a prototype device at the 2013 CES. Cochlear implants, electronic devices that tap directly into the auditory nerve, can help the deaf to regain partial hearing. Now, a color-blind artist is utilizing similar technology to help him "hear color." 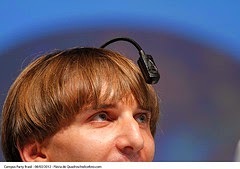 Neil Harbisson has a head-mounted sensor implanted in his skull by which color frequencies are converted into sound frequencies. This form of perception is similar to that of synesthetes, who associate one sensory input with another. Harbisson can only perceive black, white, and shades of grey with his normal vision, but his bluetooth-enabled implant gives him access to another form of "sight" that even includes infrared and ultraviolet. This is an exciting time to be involved in the development of wearable devices in the little-explored head-worn form factor. Nevertheless, the reality is that many of these companies will not be around—or at least will have moved on to other projects—in the span of a few years. Many of these devices are either being produced by untested start-ups or represent innovative but largely theoretical R&D projects from companies whose forte lies in other areas. With so many entrants in this nascent market, even those that are commercially and technologically viable will have to compete for customers if they are to become profitable. When the DynaTAC 8000X "brick" cell phone came out 30 years ago, it looked radically different from the smartphones of today and had a minute fraction of the utility. Many of today's wearables are at the forefront of a new personal digital gadget renaissance. With the tremendous advances that these companies have made in the past several years, it is exciting to think about the kind of head-worn entertainment units and augmented reality devices will be available five to ten years from now, let alone thirty. Any time choosing to acquire a great masquerade mask, Many people often see Mask This Many people WORK WITH sticks, or handles on it\'s masks, AS WELL AS they want in order to learn whether or not they too In the event that make application for a handle pertaining to their particular mask. Wireless transmission range should be up to 300 feet for my rain gauge.So can anyone suggest me something for that?